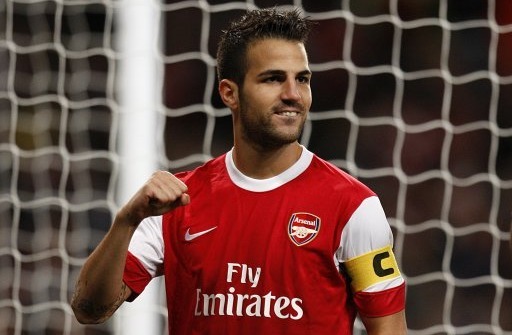 Ashburton Grove - Arsenal news and Arsenal opinion: D-Day for Cesc/Nasri - International signs today - £12m striker to join? D-Day for Cesc/Nasri - International signs today - £12m striker to join? From reading all of this morning's stories you'd think it was all doom and gloom at Arsenal at the moment. But if you think back to the end of May and all the speculation about how many players would have left us by now, we're not doing too badly. We've signed just one player who has joined our first team squad. Whilst there has been no senior professionals move on to pastures new.... yet. That should change this week with the departure of Gael Clichy too Manchester City, who seem desperate to take the title of old Arsenal boys club off West Ham. There should be the announcement of the signing of Gervinho at some point this week. That's if we've finally agreed a fee with Lille. The players are due to start returning to pre-season training this week. It's a staggered approach, as each player will go through a series of tests in the gym prior to joining up with the squad for the main event. This means that the process will be spread out, meaning some players - essentially those who took part in international matches at the start of the summer - get to come back later. Each player was given an individual training programme to keep up with whilst on their holidays, so they shouldn't be returning out of shape. Jack Wilshere will be one of the first players back at London Colney this morning. Let's hope he's not to exhausted after all his excellent work yesterday. A side to many footballers we don't get to see and one which should be reported more. One player many didn't expect to see returning to London is Cesc Fabregas. If Barcelona weren't trying to play hard ball with us over Cesc's price he'd probably have already left the club. But the Daily Mirror report that because we signed Jon Toral and Hector Bellerin - two players who turned contracts with the Spanish champions down - for a nominal fee, that the Catalan giants are furious and are knocking off £6m off Cesc's fee because of it. Yet again it goes to show you how serious they are about signing Cesc. You'd think signing our captain would be their bigger concern rather than moaning on about two player who turned them down to join us. It remains to be seen whether Barca will come back to the table with a better offer. Something closer to £50m will do it Senor Rosell. But if Cesc's on the plane to Asia on Sunday, I think he might well decide to concentrate on the season ahead rather than expect to leave for his boyhood club. You've got to draw a line somewhere and get on with the season ahead, that's what he did last summer and was professional about it. I don't see any reason why he won't do the same now. It's also crunch time for Samir Nasri to decide his future. The Daily Mail say he'll join Gael Clichy at Manchester City in a join deal worth £27m. It would be interesting to see what wages those clubs chasing Nasri are going to offer him now he's stated the decision about his future is not all about money. Perhaps they could offer him the same £67k a week he's on at Arsenal.... then I'm sure he'd come running back to us and accept our offer of £90k a week. Marseille midfielder Mathieu Valbuena, 26, has been linked with us as a possible replacement for Nasri. But whether Wenger will meet the French club's £25m valuation of the player remains to be seen. "I don't really wish to comment on this matter. All I can say at the moment is that Mathieu Valbuena is still under contract with Marseille. He will resume squad training tomorrow." Ricky Alvarez is set to make his mind up on whether he wants to join us or Inter Milan today. It's reported a £12m fee has been agreed by both clubs but the player has to make up his mind which offer he wants to accept. Some transfer speculation in the Daily Mirror, links us again to Wolves striker Kevin Doyle. They say a £12m bid would force Mick McCarthy to sell. Could this be real or is Doyle about to start negotiations on a new contract? Reports from Portugal say that Benfica are the latest club to be interested in signing Nicklas Bendtner. The Daily Mail say none of the clubs linked so far want to meet our £12m valuation of the player. Another player who might not get his move away after all.